Vacation with the Griswolds! It's time for a Christmas vacation with the Griswolds, while enjoying a hot beverage in their RV. This National Lampoon's Christmas Vacation RV 9 oz. 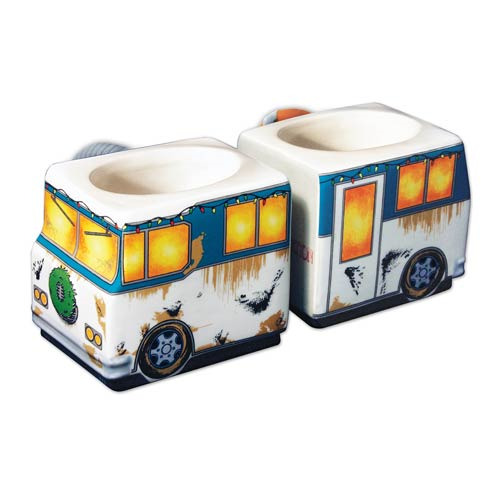 Molded Mug 2-Pack looks just like the Griswold family RV from the film when both mugs are placed next to each other! Each mug can't hold a family, but they can hold 9 ounces each. Hand wash only. Not dishwasher safe. Do not microwave. Ages 14 and up.